Inflammation is a biological response in our body to injury, infection or irritation to remove damaged cells and tissues and initiate repair. It is likened to the lighting of a spark to attract attention of the immune system to hasten the healing process. The hallmarks of inflammation include redness, pain, swelling and heat. More severe inflammation can lead to loss of function. Some or all the hallmarks may be present. Acute inflammation is necessary to move white blood cells to the area of need to carry out biochemical events to help the tissues heal. Long term inflammation that is not resolved will result in chronic inflammation. That is when the spark that was intended to help the tissue heal or remove the irritation now turns into a forest fire. 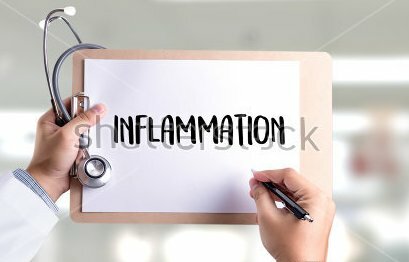 When chronic inflammation happens, the conventional medical treatment is to use anti-inflammatories, which is commonly in the form of non-steroidal anti-inflammatory drugs. These drugs can have many undesirable side effects, for example the increase in cardiac risk from the use of diclofenac sold under tradename like Voltaren. In 2004, the FDA in the US pulled a drug made by Merck, used for arthritis, Vioxx, off the market because of the increase in incidence of stroke and heart attack from its use. Think about this: if pain and inflammation is a signal from your body to tell you that you are out of balance, why do you shut off that signal? If your car dashboard has a red light, wouldn’t you want to know what has triggered the red light to happen? You won’t use a hammer and smash the red light or use a plaster to cover over the red light, so that you don’t see it. Why do we do that to our bodies? We need to deal with the underlying cause of inflammation. Identifying whether the source inflammation is from the diet, lifestyle, mental states e.g. stress, insomnia or depression; lack of nutrition, excessive exercise or increased exposure to toxins is important to treat the cause rather than just the symptoms. It is important to maintain good quality of life whilst you correct the underlying physiology and using natural anti-inflammatories in therapeutic doses like turmeric, fish oil, astaxanthin and mineral combinations can help to manage the cause of inflammation without undesirable side effects. One man’s meat is another man’s poison. Addressing your individuality and which food works for you and which ones do not can reduce a large inflammatory burden on your body. A review of your toxin exposure, exercise and lifestyle can also reveal where other triggers for inflammation are for you. Your naturopathic or functional medicine doctor will be able help you do that. Most of your diet should be made up of good, wholesome, clean food, not necessarily raw, but lightly cooked to assist digestion and uptake of nutrients. You do not need to be vegan to reduce inflammation, as long as food is nutritious and wholesome, you will benefit. As to which food items are setting off your inflammation, this needs a personalised approach and it is advisable for you to seek professional help. So when the dash board light comes on, be curious! Find out what is driving that problem, do not put out the light by just shutting it down. The engine could be struggling hard and is a ticking time bomb waiting to burn out or break down.